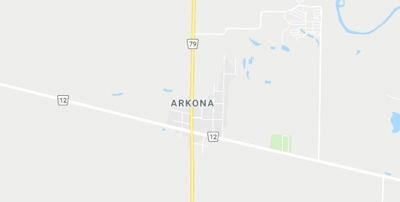 Arkona Ontario is a growing small community near the Lambton–Middlesex county line in Southwestern Ontario's Lambton Shores. Located along the Ausable River the community is midway between Thedford and Watford Ontario. It is noted for its large amount of fruit trees which has led to its nickname of the "Little Apple”. Arkona Ontario real estate ranges from small, single-family homes along tree-lined streets in traditional style neighborhoods to larger more modern, split level homes. Housing is affordable here, ranging mainly from $150,000 to $300,000. Those in search a family oriented community may just find it in Arkona, Ontario. Homes for sale in Arkona Ontario offer much more than a place to live. They provide a friendly sense of community which is enhanced during the summer season. 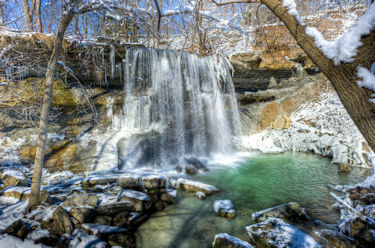 The many fruit trees in the area are a haven for visitors in-season as is the beautiful Rock Glen Conservation Area. Arkona's annual Funtastic Days include a baseball tournament and parade. The community has its own Medical Centre, Dental Clinic, and optometrists. This is one of the smallest communities in West Ontario and those living here appreciate it. Get in touch with Team Forster today to learn more about Homes for sale in the Arkona Ontario market and to request a showing now! Give us a call at 519-851-2844 to speak to a Arkona Ontario real estate agent today. Listing courtesy of CENTURY 21 FIRST CANADIAN CORP. Listing courtesy of SUTTON WOLF REALTY BROKERAGE.